Normally we don’t like it when people think of themselves as smarter than we are. We call them know-it-alls, and that name is not meant as a compliment. Well, guess what? God is omniscient; he really does know it all. His mind is vast enough to track all the thoughts and actions of all the people on earth. His memory has enough RAM to remember all human history, small and great. Psalm 139:1,2 says, “O Lord, you have searched me and you know me. You know when I sit and when I rise; you perceive my thoughts from afar.” This has to be terrifying to an unbeliever. It means that you will never ever get away with anything. But those who believe they are forgiven in Christ will find the concept of an omniscient God greatly comforting. It means that we are worshiping a great big God. It means he won’t forget to take care of us, the way we forget to feed the fish and find them floating upside down. It means he remembers all his promises, keeps all his commitments, and won’t ever lose track of a single one of us. Everyone longs to be connected with God. And if you ask most people today, they’ll tell you that however you want to connect with God is fine. All paths are valid. But the Bible paints a much different picture. 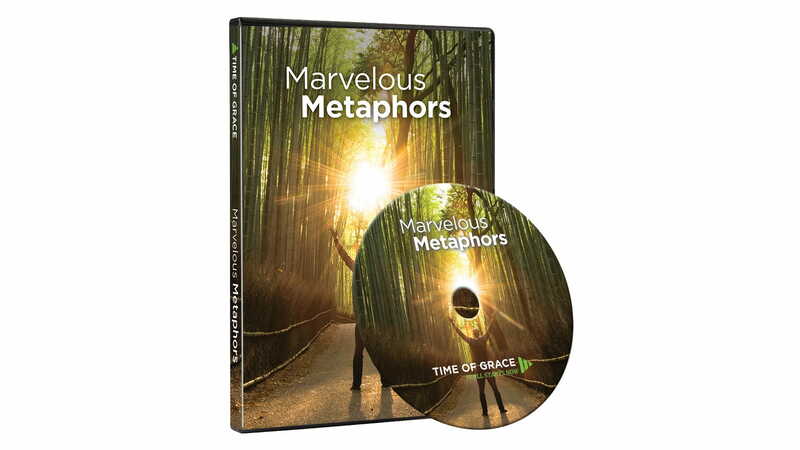 The four-message Marvelous Metaphors DVD study set shows you exactly what Jesus says about what it takes to be connected with God. You’ll get a powerful glimpse into our Savior’s relationship with his Father. You’ll also get insight into what exactly Jesus came to do and the importance of staying connected to him. The Marvelous Metaphors DVD study set is our thank-you for your support to help share the timeless truths of God’s Word with more people through Time of Grace. Request your copy today!